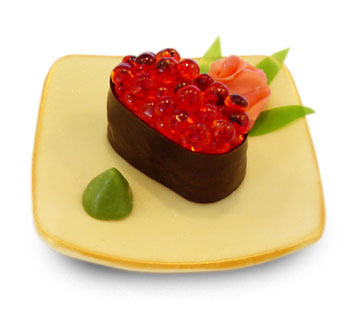 When you think of chocolate, sushi might not be the first thing that comes to mind. 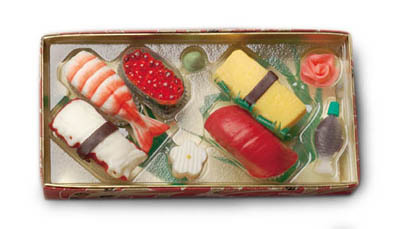 However, for Karen Sasaki and Janice Murai, the combination of sushi and chocolate has been the perfect match. They co-own Koo-ki Sushi based in San Jose, California. 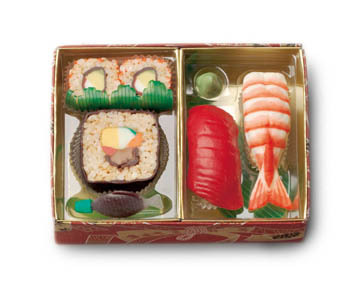 Koo-ki specializes in making sushi entirely out of chocolate. Each piece is done by hand, and has extraordinary detail. Karen got the idea one day when she was pressing sticky cookie mixture into a pan. It reminded her of pressing rice onto nori (seaweed paper) when she made sushi for her grandmother. She then contacted her sister Janice, and both of them went into the “sushi” business. 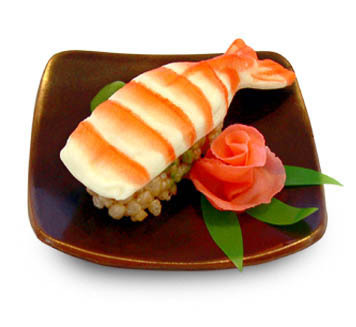 There are 7 pieces of sushi in total, Apricot Row, Lemon-Egg, Berry Maguro, Mau’i Maki, Fruot-O-Maki, Tako-Nut, Great White Sushi, and various different garnishes. 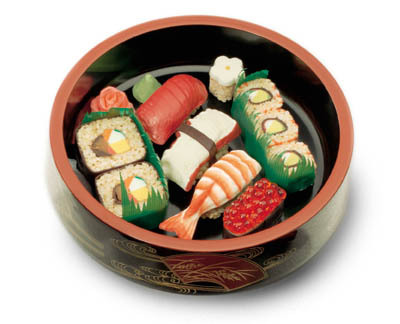 The main parts of the sushi are made from solid chocolate, or filled with anything from a smooth almond filling to a milk chocolate hazelnut center. The rice is made out of a crisp rice cookie. All of them look quite realistic. For more about Koo-ki, check out their website at KookiSushi.com.